Baby Talk: A Poor or Smart Decision? 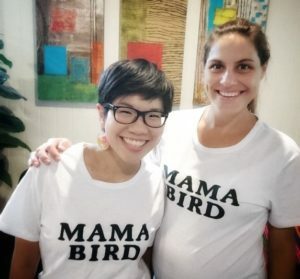 For this month, we are lucky to have a blog contribution from Janice and Tania from Little Birdie Books. Two awesome speech pathologists who have designed wonderful book boxes specifically tailored to children’s age and language development. In this blog article they share their insights on the ever present topic of “Baby Talk” and whether or not it’s a good or bad thing for your child! I am not one for baby talk, but many parents are, so read on to learn more! ‘She likes your high voice’ a friend of mine said to me once about his daughter. Yes, I am that person who talks in a sing-song voice when speaking to babies. I’ve heard this voice many times when I am talking to my baby while standing at the supermarket checkout, with people around me smiling (smirking?) and probably wondering why I sound so cringe-worthy. The term baby talk first appeared in the Oxford English Dictionary in 1836. Research tells us that babies find this kind of talking more interesting. Babies pay better attention and ‘tune-in’ more, especially amidst background noise. When you exaggerate sounds by changing the length and pitch (e.g, where are your shooooes?”, it helps babies to differentiate between sounds. It becomes easier for them to know when one word finishes and the next one starts. Studies have shown that one year olds exposed to ‘infant-directed speech’ babbled more in response and in general. By two, these children had a larger vocabulary. A study by Song et al, (2010) showed that slow speaking rate and vowel hyperarticulation (exaggerating vowels) significantly improved the 19 month olds’ ability to recognise words. Using motherese doesn’t mean we should be speaking telegrammatically. This is when we only use main content words and no grammar or grammatical errors (e.g., ‘he small’ instead of ‘he is small’, or ‘she eat’ instead of ‘She is eating’). Some people think this kind of talking helps a child’s language skills to develop, by only giving the most important words to focus on and is very simple. However, telegrammatic speech is providing a poor language model for children to learn from. All children, at whatever age need to be exposed to good grammar in order to use it! Some research (e.g. Fey, 2008) has found that found that using telegraphic speech may actually hinder a child’s language development, especially if the child has a language delay. Additionally, the words, or parts of words we use when speaking grammatically provides information to your child about grammar. For example, when your child hears a word ending in ‘-ing’, they know that you are using an ‘action’ word and it is happening right now. 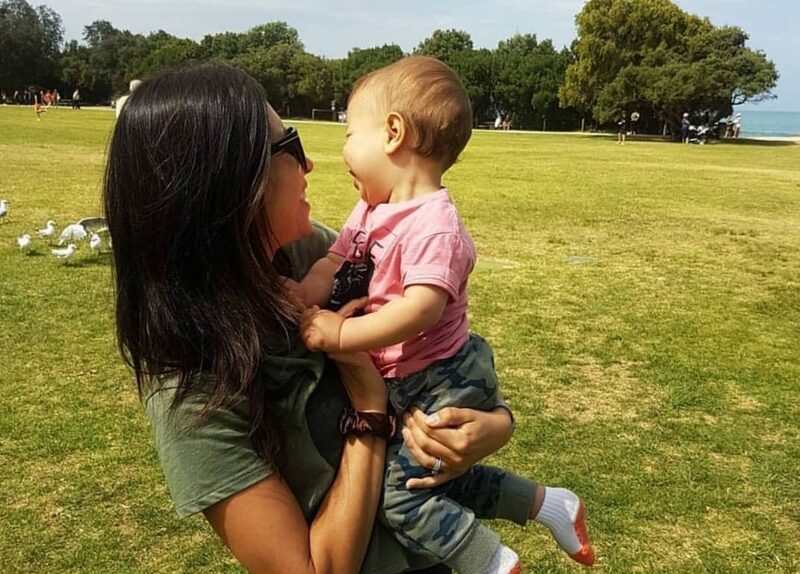 Make the smart choice to use baby talk – you may sound a little silly to other adults but watch as your bond grows and the interactions bring many moments of joy as your baby communicates with you! Just to reiterate, Janice & Tania are speech language pathologists, mums and the founders of Little Birdie Books. Little Birdie Books provides book boxes filled with unique picture books and themed activities. Perfect for your family to enjoy, or as a special gift! If you have any other questions about “Baby Talk” don’t hesitate to contact them! Werker, Pegg & McLeod, 1994; Colombo, Frick, Ryther, Coldren, & Mitchell, 1995. Fernald, A., Mazzie, C. (1991). Prosody and focus in speech to infants and adults. Developmental Psychology, 27(2), 209-221. Colombo, J., Frick, J.E., Ryther, J.S., Coldren, J.T., Mitchell, D.W. (1995). Infants’ detection of analogs of ‘‘motherese’’ in noise. Merrill-Palmer Quarterly, 41(1), 104-113. Weppelman, T., Bostow, A., Schiffer, R., Elbert-Perez, E., Newman, R. (2003). Children’s use of the prosodic characteristics of infant-directed speech. Language & Communication, 23, 63-80. Fey, M. (2008) The (mis-)use of telegraphic input in child language intervention. Revista de Logopedia, Foniatría y Audiología 2008, Vol. 28, No. 4, 218-230. Song, J.Y., Demuth, K., and Morgan, J. (2010). Effects of the acoustic properties of infant-directed speech on infant word recognition. The Journal of the Acoustical Society of America 128, 389.